I know it sounds like a joke, especially today. 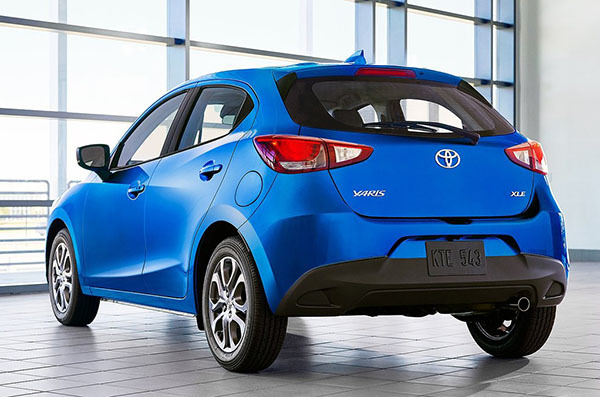 Toyota will actually revive the Yaris Hatchback name with a full on rebadged Mazda2. 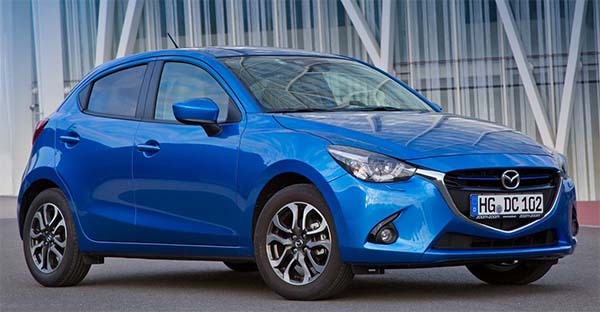 The current Mazda2 came out back in 2014. And has never been sold in the US as a Mazda. 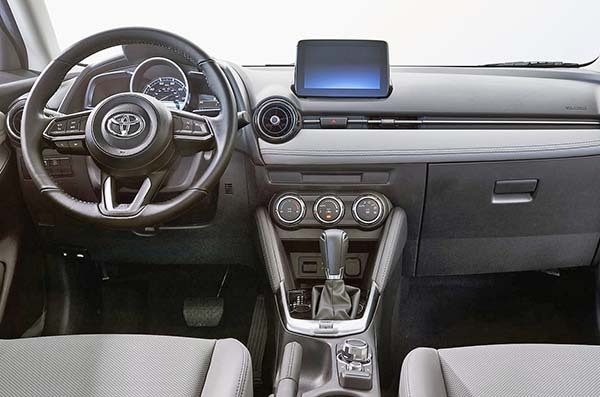 While the Yaris hatch was a "real" Toyota, but was cancelled a few months ago. Now we have this: a 5 year old Mazda with a big Toyota mouth. Why not the regular yaris Toyota makes? What kind of a weird deal do they have with Mazda? 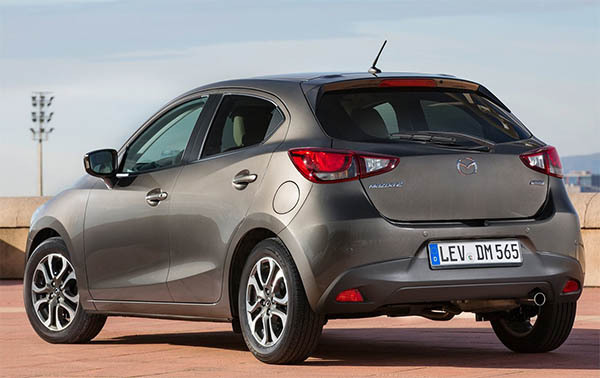 I mean, I am glad to finally see the Mazda2 hatchback here. But after 5 years, I am sure a new one is just around the corner. Sure it is still pretty nice. It looks a lot like the Mazda CX-3 I was driving for a few days. Especially inside, where it is almost 100% the same as the CX-3. Wondering why Toyota chose to use a Mazda? I rather see the Mazda 2 here as a Mazda 2. That gaping fish mouth grill... Why?! Don't they know that everybody hates it? 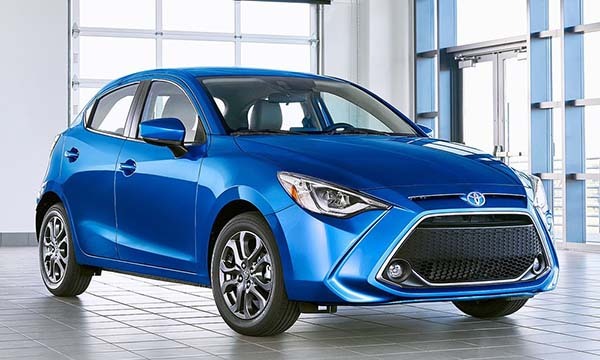 Makes no sense considering the Mazda2 and CX-3 are both due to be replaced within the year.. and why wouldn't they take the opportunity to fix the crappy Scion mouth? Was the Yaris hatch imported from Japan? Because I believe the Mazda2/Yaris iA are built in Mexico. So it is likely more cost-effective to bring the Mazda hatch from the other side of future Wall instead of shipping the (inferior) Toyota hatch across the Pacific. The yaris brand isn't Toyota's good selling car. In my opinion they shouldn't sell hatchback version anymore. Toyota is just killjng its self for selling a worst selling car. Also, the previous gen yaris hatch was built in France.